un0rick open hardware | un0rick is a open-source ultrasound project. un0rick is a open-source ultrasound project. Non destructive testing and imaging ultrasound have been around since the ’50s. Many ultrasound open-source projects are emerging, mostly focusing on image processing - while hardware has been left behind. Several teams have produced succesful designs to be used on commercial US scanners, but they are not cheap, and are difficult to access. I couldn’t find designs to play with, that would be affordable or open, so I decided to make one for makers, researchers and hackers. 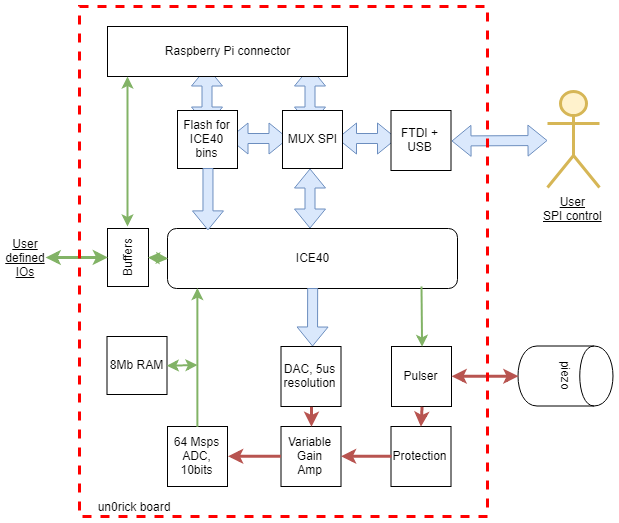 I recommend using RPi, particularly W for the wireless aspects, which then becomes the board server. There’s a dedicated 20x2 header. Prepared are image for the RPi W, a python lib as well. Data formatted over 2 bytes, with 10 bits / sample, 2 bits of line trackers, 4 bits of IOs (counters, …) and 2 bits for tracking. FPGA bin so far using Lattice’s tools. A icestorm port is coming. wlmeng11’s SimpleRick for a analog part board. 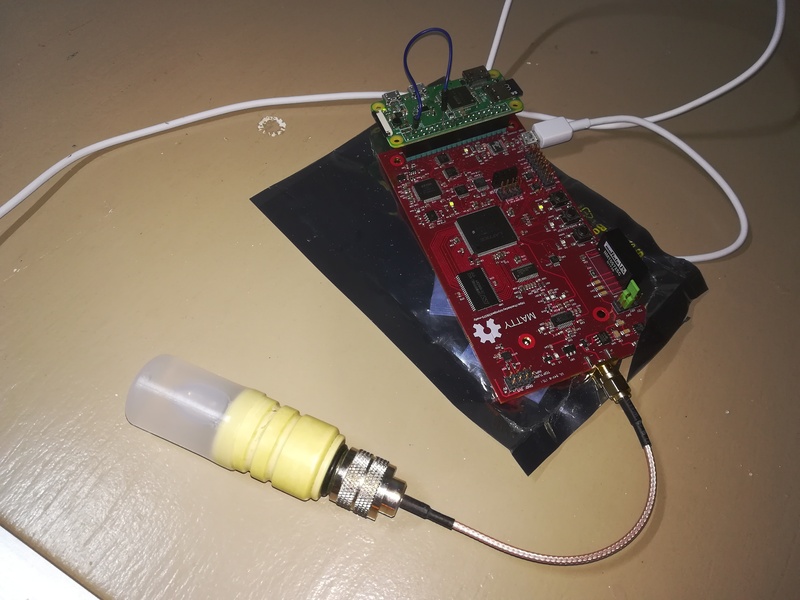 Clever use of RTL-sdr hardware for the acquisition ! This work is based on a previous TAPR project, the echOmods project. The un0rick project and its boards are open hardware and software, developped with open-source elements. The software components are free software: you can redistribute it and/or modify it under the terms of the GNU General Public License as published by the Free Software Foundation, either version 3 of the License, or (at your option) any later version. The documentation is licensed under a Creative Commons Attribution-ShareAlike 3.0 Unported License. This is not a medical ultrasound scanner! It’s a development kit that can be used for pedagogical and academic purposes - possible immediate use as a non-destructive testing (NDT) tool, for example in metallurgical crack analysis. This is a learning by doing project, I never did something related -> It’s all but a finalized product.